Brandon Flowers has announced a brand new headlining North American tour. 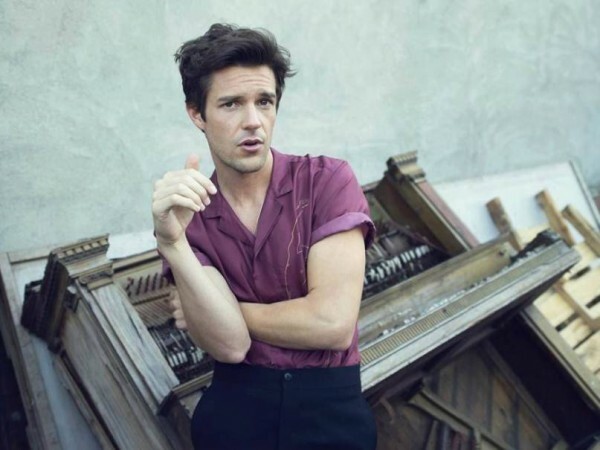 The tour, which kicks off at the end of July, is in celebration of The Killers frontman’s release of his highly anticipated, second solo album The Desired Effect (out 5/19 via Island Records). General on sale for tickets will be available from Friday, 4/24 via Ticketmaster. The Desired Effect is the successor to Flowers’ chart topping 2010 debut solo album, Flamingo. The album was recorded with the producer Ariel Rechtshaid (Haim, Vampire Weekend, Charli XCX), at Battle Born Studios in Las Vegas and Heavy Duty and Vox Studios in Los Angeles. Flowers is joined by a stellar cast of iconic musicians, including Bruce Hornsby, Ethan Farmer, Tony Levin, Kenny Aronoff, The Dirty Projectors’ Angel Deradoorian and Joey Waronker. Pet Shop Boys’ Neil Tennant joins for a brief drive-by in the Bronski Beat-sampling smash-hit-in-waiting, “I Can Change”, while Flowers’ Killers compadre, Ronnie Vannucci Jr, and Haim singer/guitarist, Danielle Haim, both guest on drums.